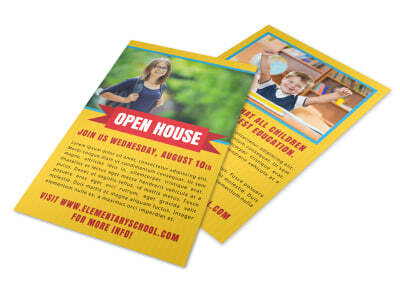 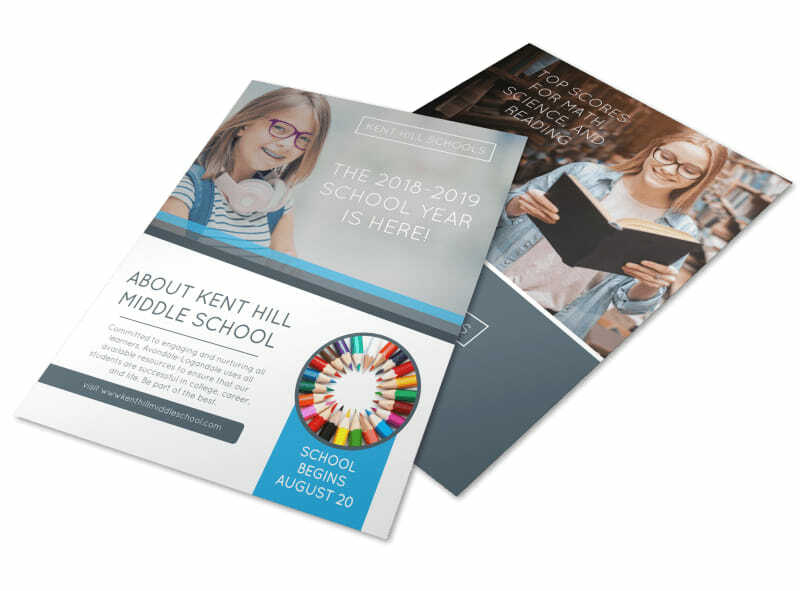 Customize our Back To Middle School Flyer Template and more! 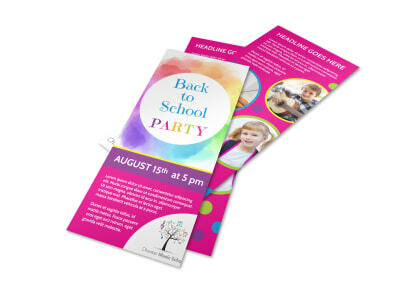 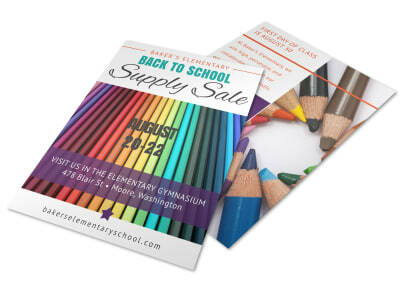 Promote an upcoming back to school sale or other events with this eye-grabbing flyer you make yourself. 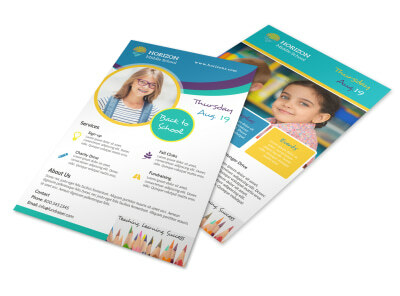 Use our user-friendly online editor to customize your flyer design with your school's colors, relevant images, text, and more. 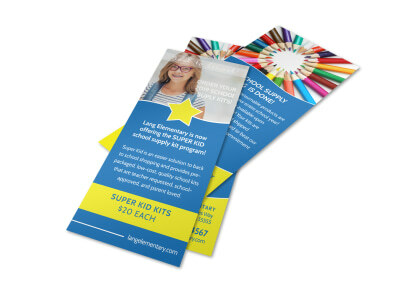 We make the process quick and fun, so get started on your custom flyer now.